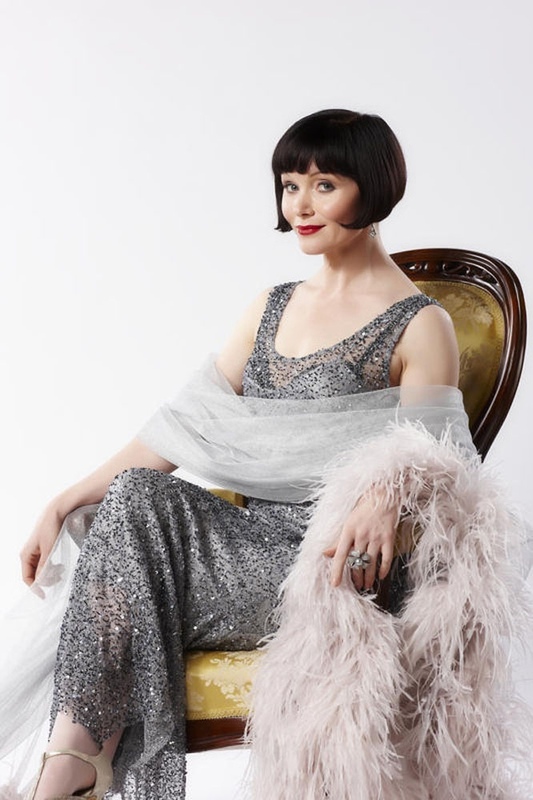 I have now run out of Miss Fisher’s Murders episodes to watch and probably have one hell of a wait to endure before the third season of Phryne Fisher’s escapades land on Netflix. Sad times. I’m consoling myself with the books, which are very entertaining but so very different to the series that they’re just making me feel even more wistful, probably because they’re missing all the things that make me love the show so much – that frisson with Jack, Aunt Prudence, the sweet romance between Dot and Hugh (it’s not quite so super sweet in the books) and those fabulous, amazing clothes and sets. No matter! In time honoured Madame Guillotine fashion, I have decided to pay tribute to the Queen of Badassery that is Phryne Fisher with a compilation of utterly dreamy and amazing 1920s dresses from the collections of the Metropolitan Museum of Art in New York, because after all, the dazzling Miss Fisher’s amazing collection of clothes is just as much a star of the show as the delectable Phryne herself. 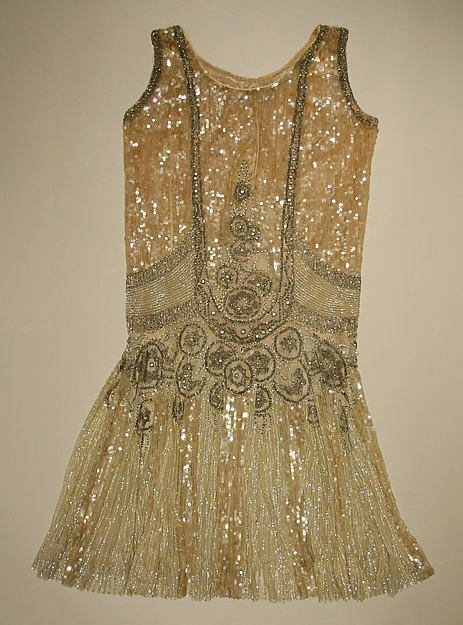 The series and books are set in 1928 but I’ve covered the whole of the decade in this post as there were dresses from earlier on in the roaring twenties that were just far too good and special to be missed out. 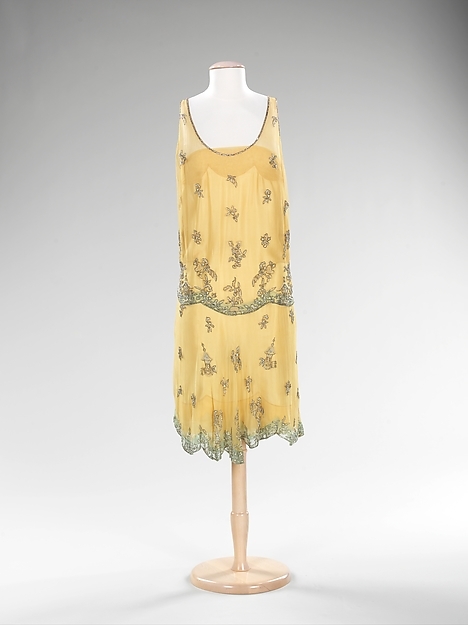 Evening ensemble, Philippe and Gaston (France), c1925. Photo: Metropolitan Museum of Art Costume Institute, New York. Evening dress, French, c1926. Photo: Metropolitan Museum of Art Costume Institute, New York. Evening dress, Callot Soeurs, c1924. Photo: Metropolitan Museum of Art Costume Institute, New York. 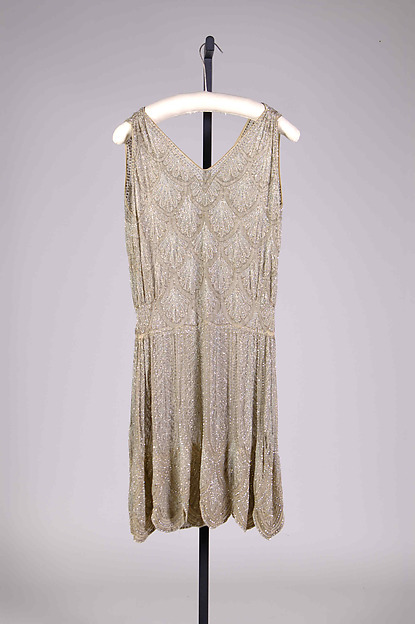 Evening dress, American, c1926. Photo: Metropolitan Museum of Art Costume Institute, New York. 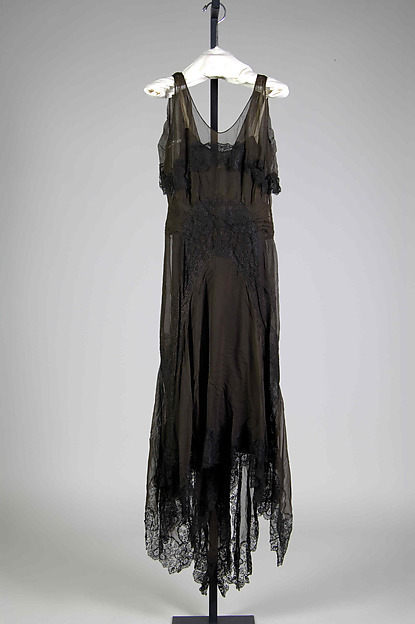 Evening dress, French, 1925. Photo: Metropolitan Museum of Art Costume Institute, New York. 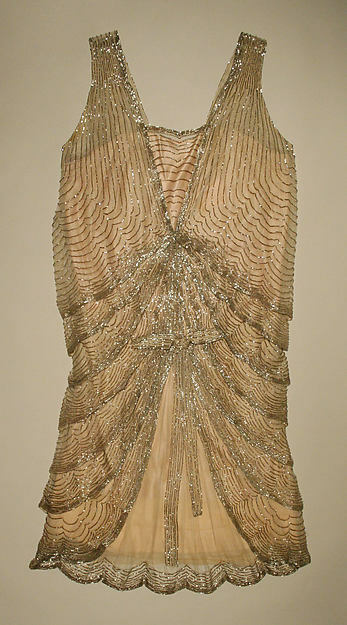 Evening dress, Bergdorf Goodman, c1923. Photo: Metropolitan Museum of Art Costume Institute, New York. 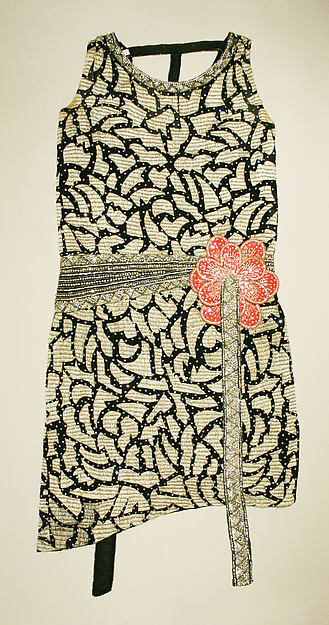 Evening dress, Chanel, 1927-8. Photo: Metropolitan Museum of Art Costume Institute, New York. Evening dress, French, c1925. Photo: Metropolitan Museum of Art Costume Institute, New York. 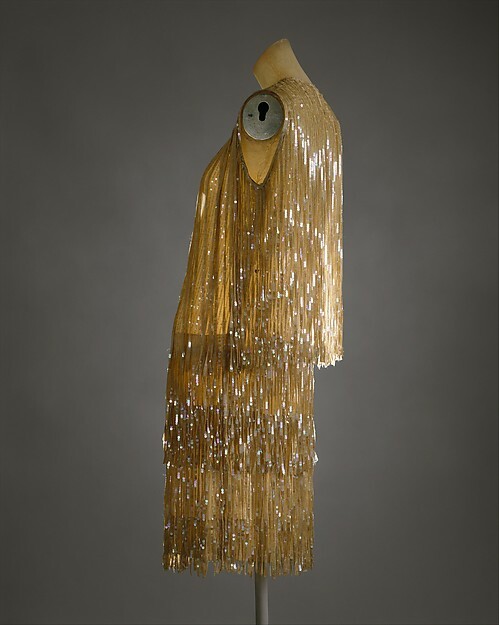 Evening dress, Peggy Hoyte, 1928. Photo: Metropolitan Museum of Art Costume Institute, New York. 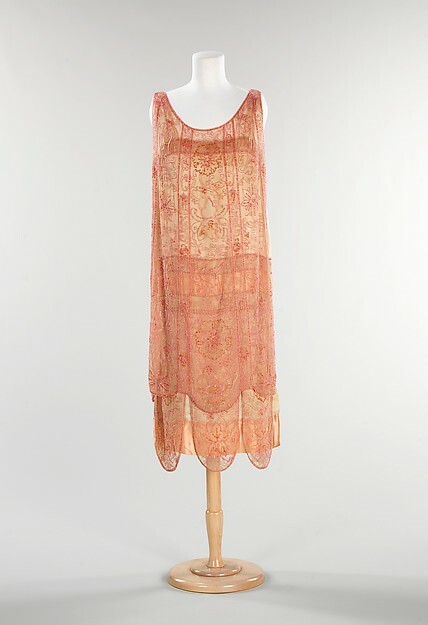 Evening dress, Callot Soeurs, 1925-6. Photo: Metropolitan Museum of Art Costume Institute, New York. 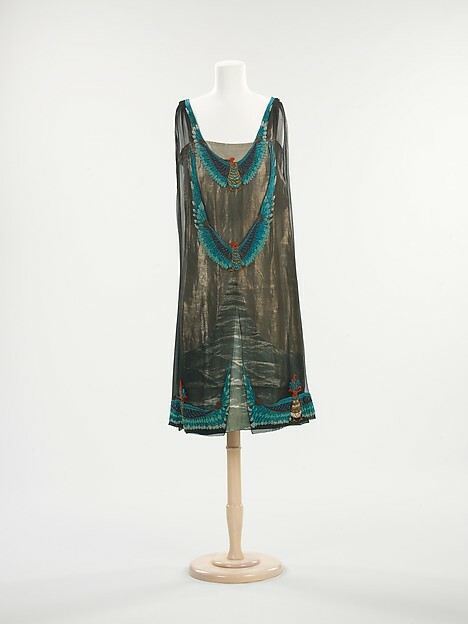 Evening dress, Paul Poiret, 1927. Photo: Metropolitan Museum of Art Costume Institute, New York. 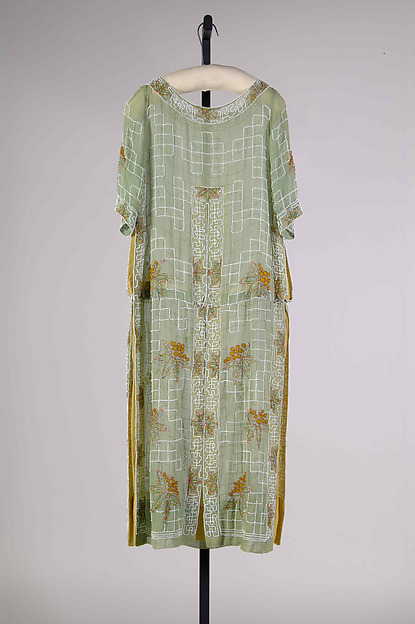 Evening dress, House of Patou, 1928-30. Photo: Metropolitan Museum of Art Costume Institute, New York. 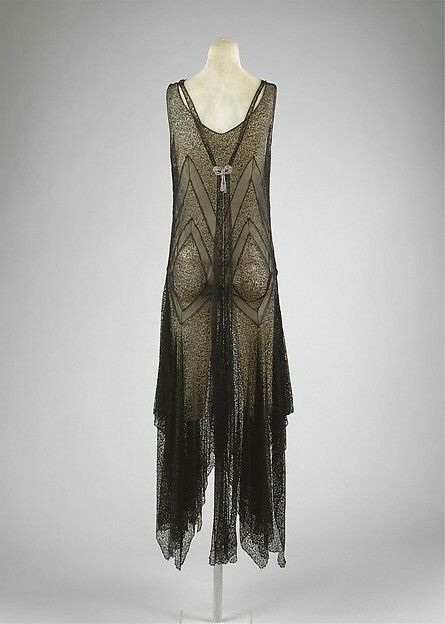 Evening dress, Edward Molyneux, 1926-7. Photo: Metropolitan Museum of Art Costume Institute, New York. 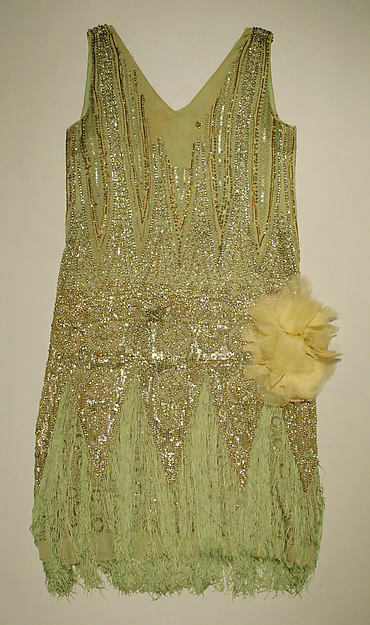 Evening dress, B Altman and Co, early 1920s. Photo: Metropolitan Museum of Art Costume Institute, New York. 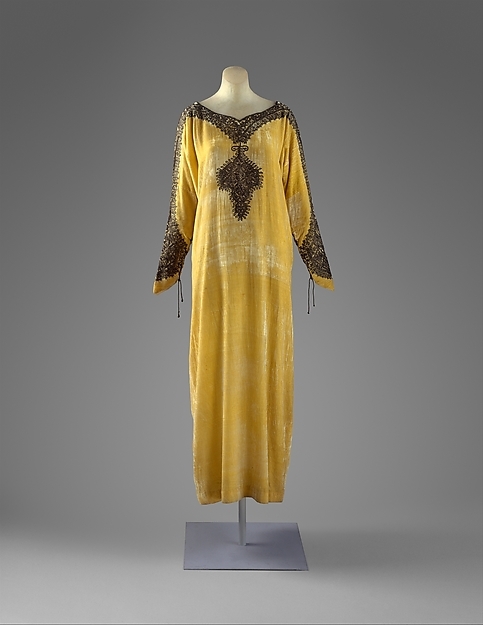 ‘Arrow of Gold’ Evening dress, Paul Poiret, 1925. Photo: Metropolitan Museum of Art Costume Institute, New York. 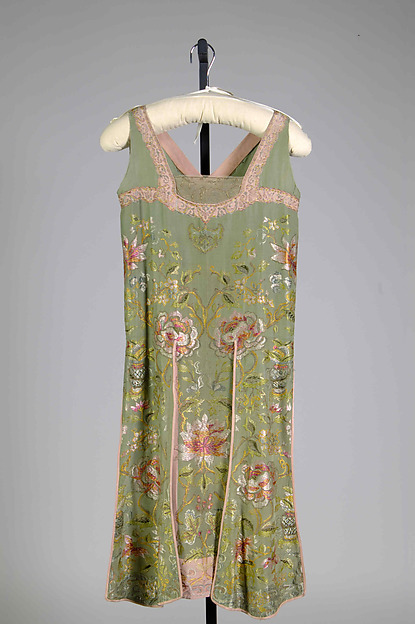 Evening dress, British, 1927. Photo: Metropolitan Museum of Art Costume Institute, New York. 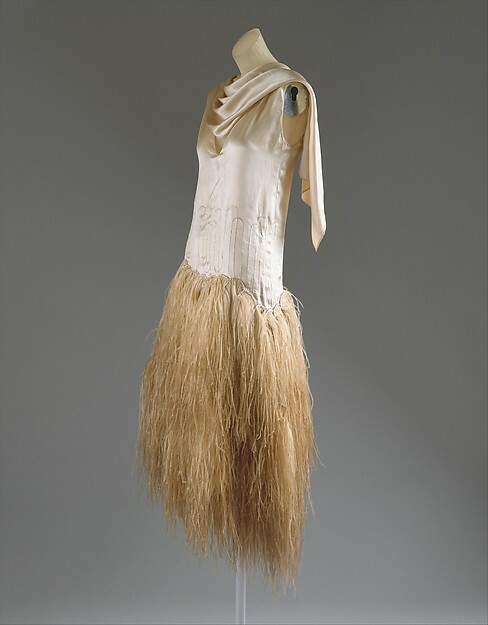 Evening dress, American, 1926-7. Photo: Metropolitan Museum of Art Costume Institute, New York. 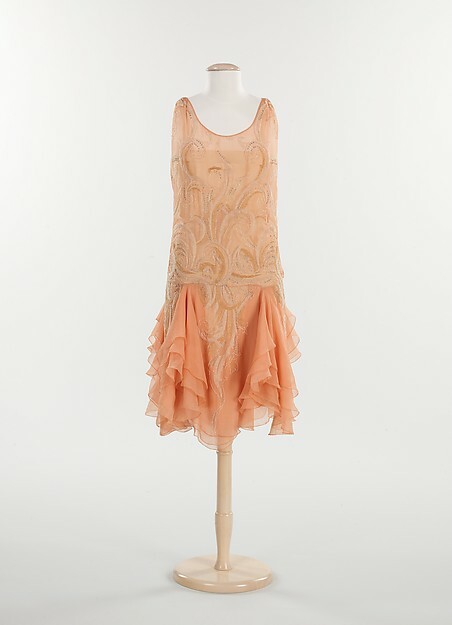 Evening dress, House of Patou, c1928. Photo: Metropolitan Museum of Art Costume Institute, New York. 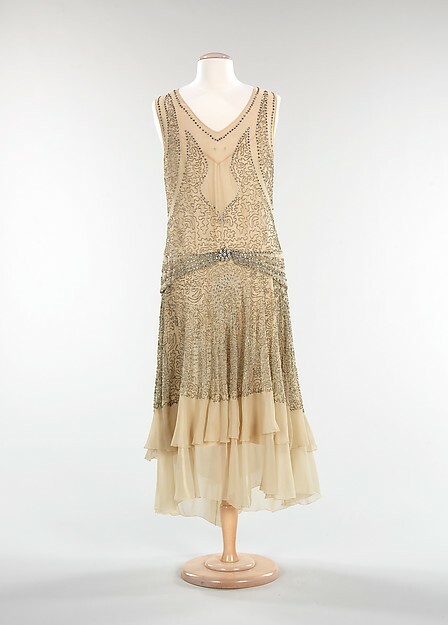 Evening dress, French, 1928. Photo: Metropolitan Museum of Art Costume Institute, New York. 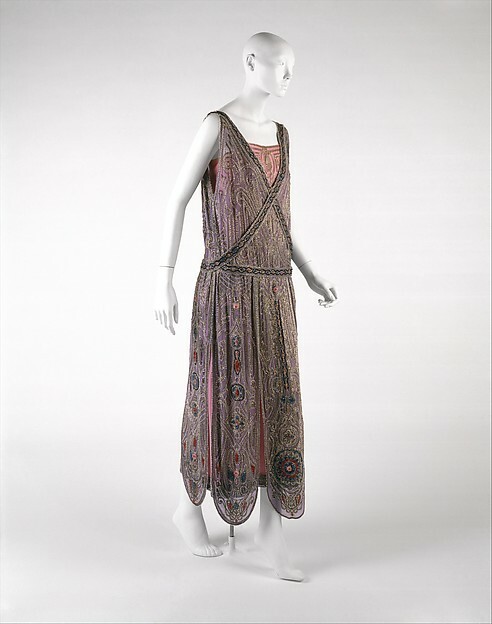 Evening dress, French, 1926-7. Photo: Metropolitan Museum of Art Costume Institute, New York. 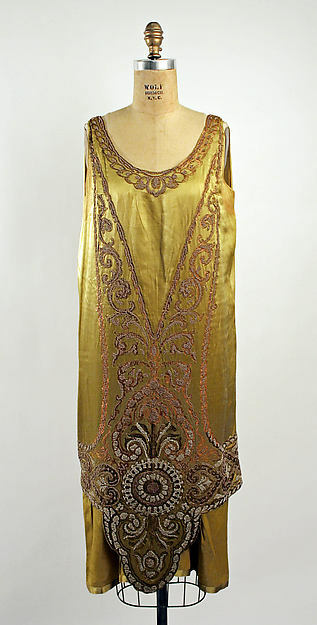 Evening dress, Callot Soeurs, c1923. Photo: Metropolitan Museum of Art Costume Institute, New York. 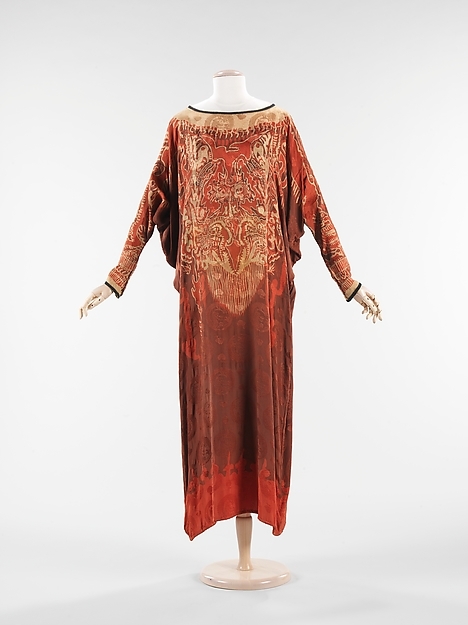 Evening dress, Callot Soeurs, 1924-5. Photo: Metropolitan Museum of Art Costume Institute, New York. 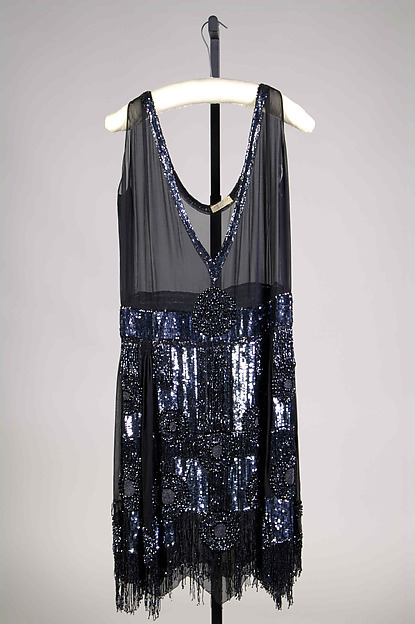 Evening dress, Thurn (American), 1923-6. Photo: Metropolitan Museum of Art Costume Institute, New York. 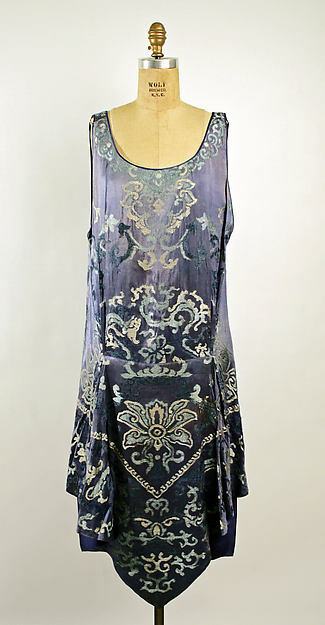 Evening dress, American, c1920. Photo: Metropolitan Museum of Art Costume Institute, New York. 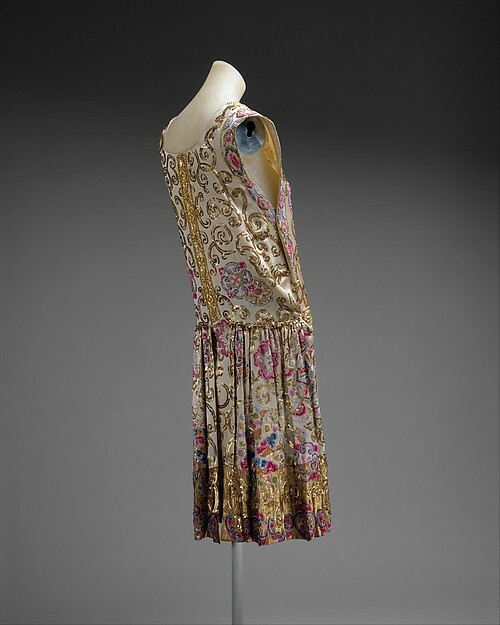 Evening dress, American, 1928-30. Photo: Metropolitan Museum of Art Costume Institute, New York. 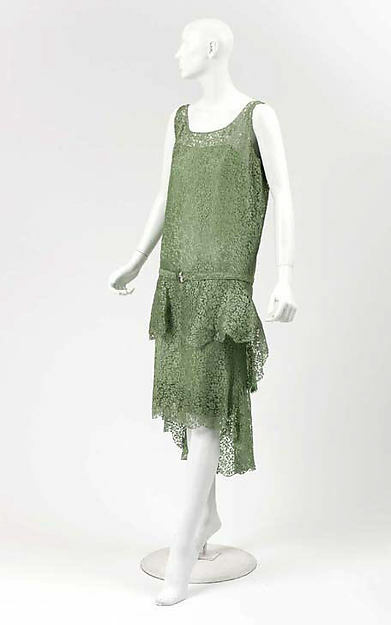 Evening dress, Anne and Thérèse (French), 1925. Photo: Metropolitan Museum of Art Costume Institute, New York. 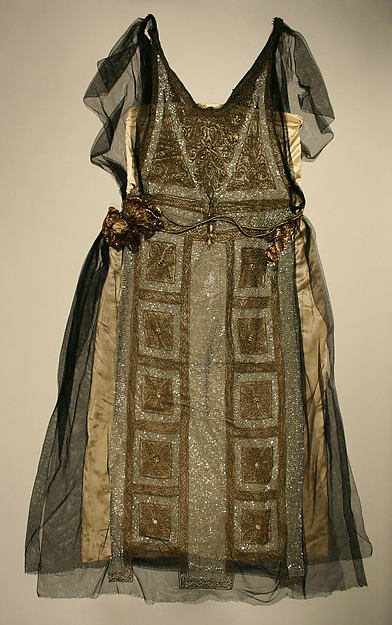 Evening dress, House of Worth, 1926. Photo: Metropolitan Museum of Art Costume Institute, New York. Evening dress, House of Lanvin, 1923. Photo: Metropolitan Museum of Art Costume Institute, New York. 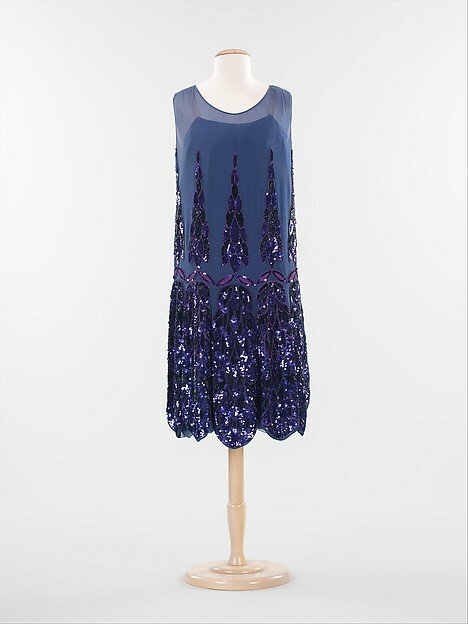 Evening dress, House of Patou, 1926-8. Photo: Metropolitan Museum of Art Costume Institute, New York. 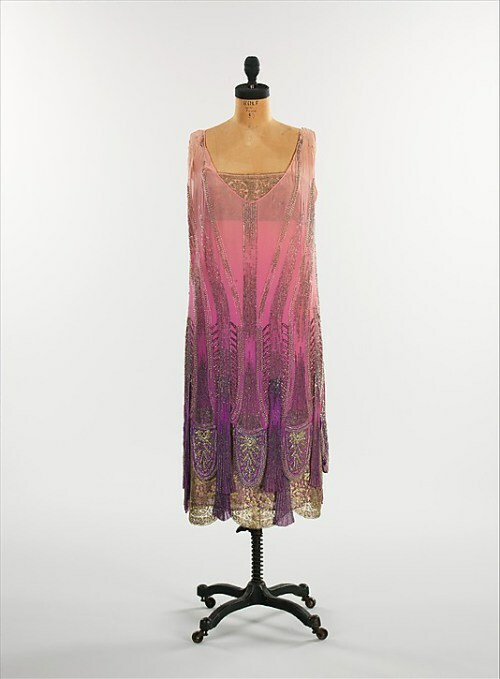 Evening dress, American, 1925. Photo: Metropolitan Museum of Art Costume Institute, New York. 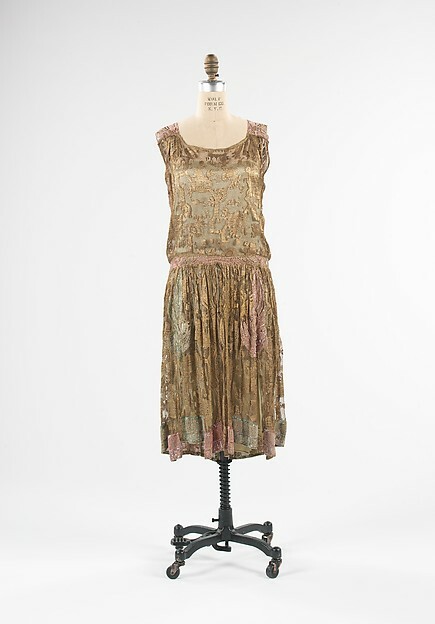 Evening dress, American, 1926-8. Photo: Metropolitan Museum of Art Costume Institute, New York. Evening dress, House of Worth, c1925. Photo: Metropolitan Museum of Art Costume Institute, New York. 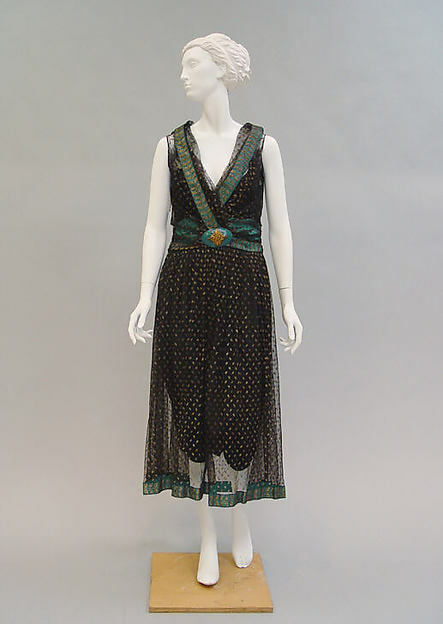 Evening dress, House of Patou, c1924. Photo: Metropolitan Museum of Art Costume Institute, New York. 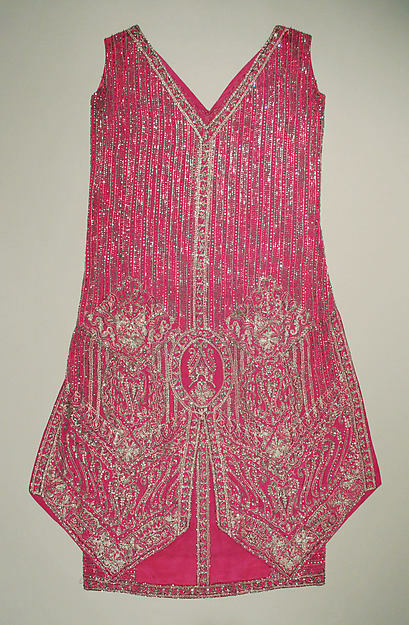 Evening dress, Vitaldi Babani, c1925. Photo: Metropolitan Museum of Art Costume Institute, New York. 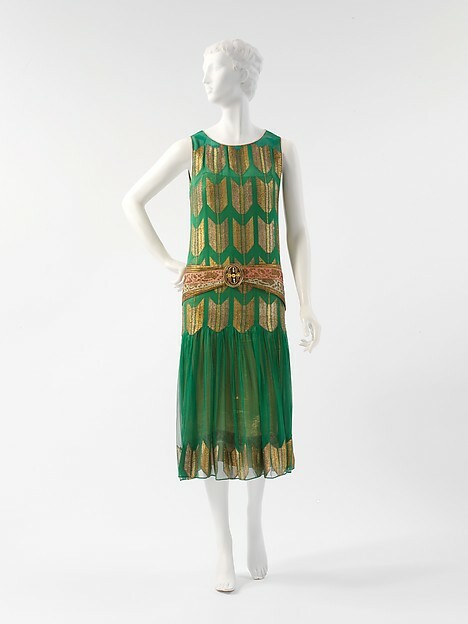 Evening dress, House of Worth, 1928-9. Photo: Metropolitan Museum of Art Costume Institute, New York. 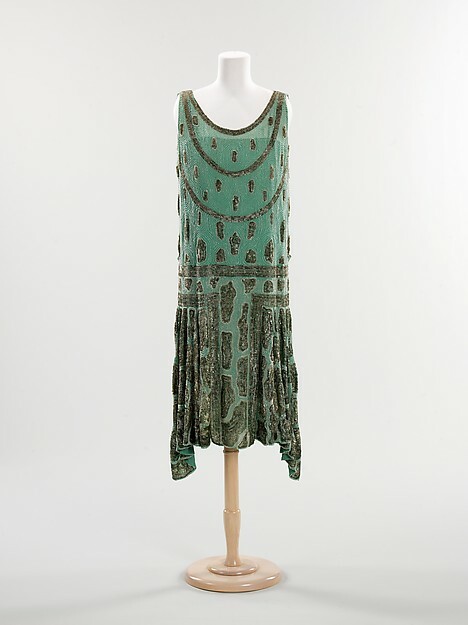 Afternoon dress, Edward Molyneux, 1926-7. Photo: Metropolitan Museum of Art Costume Institute, New York. 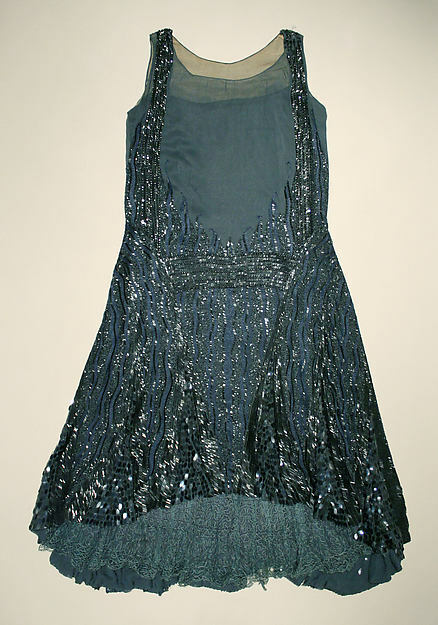 Evening dress, American, c1921. Photo: Metropolitan Museum of Art Costume Institute, New York. 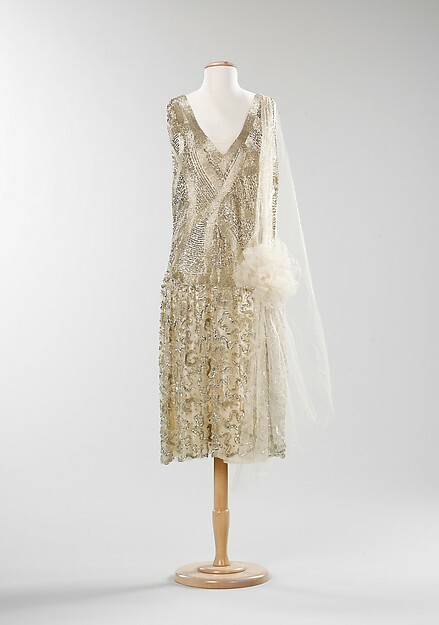 Evening dress, Louise Boulanger, 1928. Photo: Metropolitan Museum of Art Costume Institute, New York. 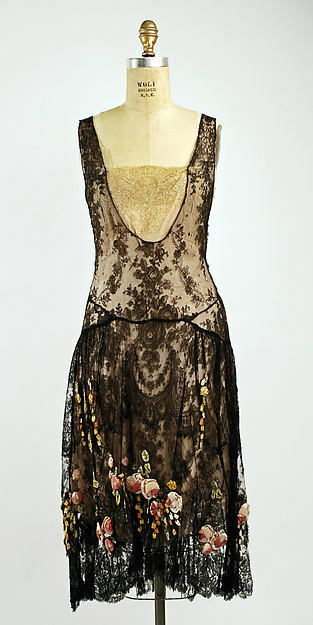 Evening dress, Boué Soeurs, c1925. Photo: Metropolitan Museum of Art Costume Institute, New York. 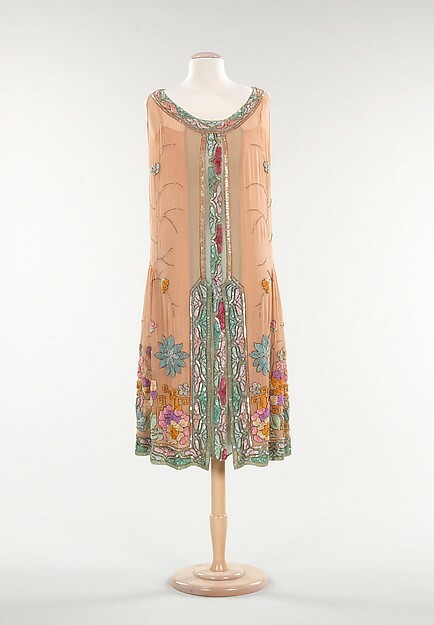 Evening dress, House of Patou, 1927. Photo: Metropolitan Museum of Art Costume Institute, New York. Evening dress, House of Patou, c1925. Photo: Metropolitan Museum of Art Costume Institute, New York. 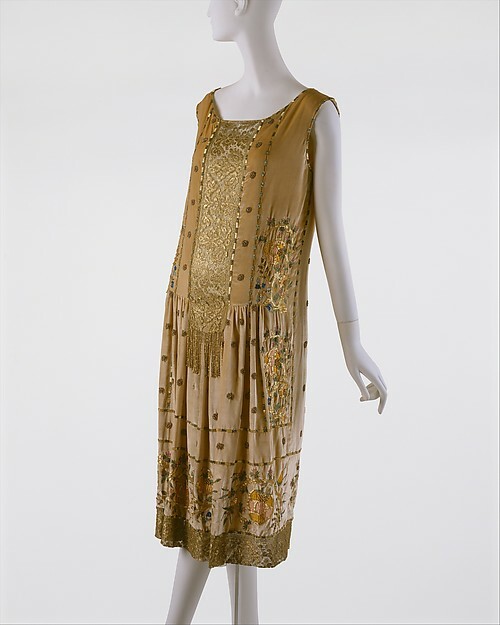 Evening dress, French, 1924. Photo: Metropolitan Museum of Art Costume Institute, New York. 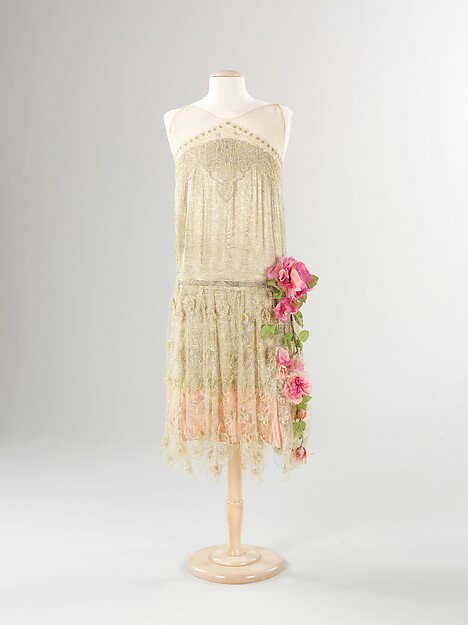 Evening dress, French, 1925-8. Photo: Metropolitan Museum of Art Costume Institute, New York. 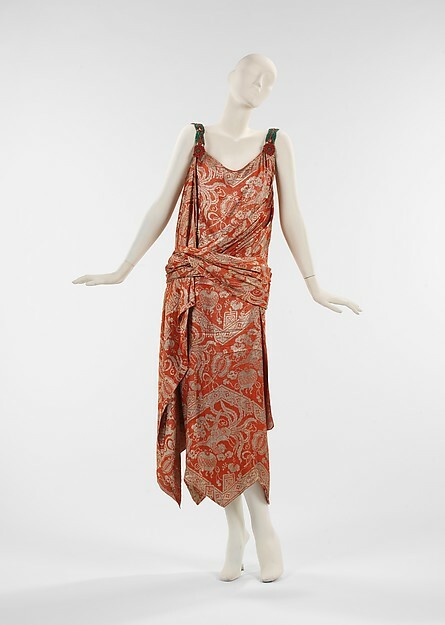 Evening dress, Martha Weathered Inc, 1925. Photo: Metropolitan Museum of Art Costume Institute, New York. Evening dress, House of Paquin, 1927. Photo: Metropolitan Museum of Art Costume Institute, New York. 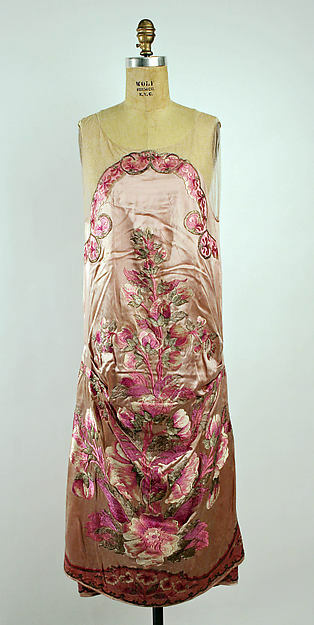 Evening dress, House of Worth, 1925. Photo: Metropolitan Museum of Art Costume Institute, New York. 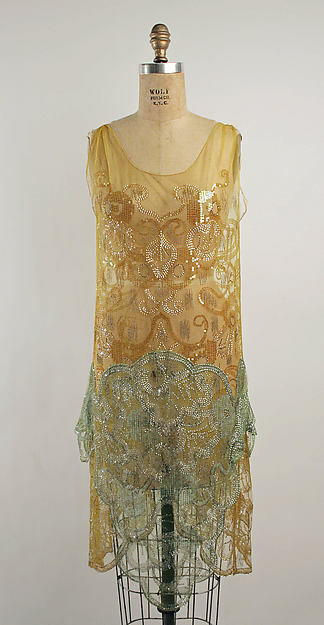 Evening dress, Callot Soeurs, c1926. Photo: Metropolitan Museum of Art Costume Institute, New York. 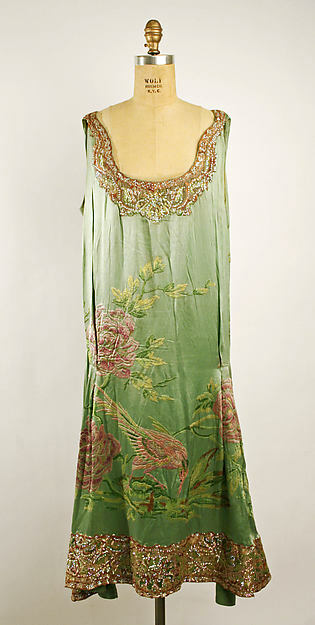 Evening dress, Adair, c1925. Photo: Metropolitan Museum of Art Costume Institute, New York. 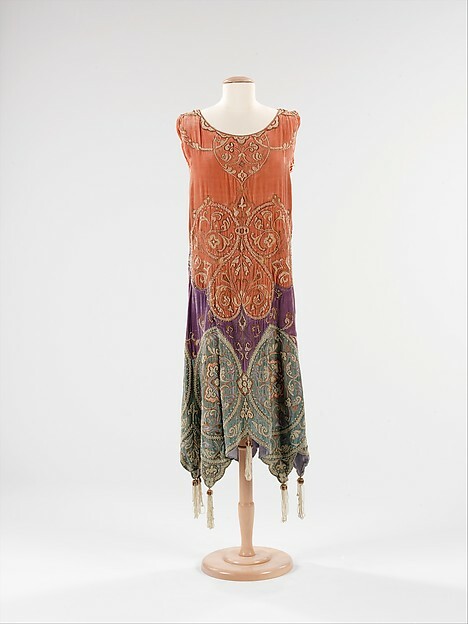 Evening dress, American, 1924. Photo: Metropolitan Museum of Art Costume Institute, New York. Evening dress, Callot Soeurs, 1926. Photo: Metropolitan Museum of Art Costume Institute, New York. 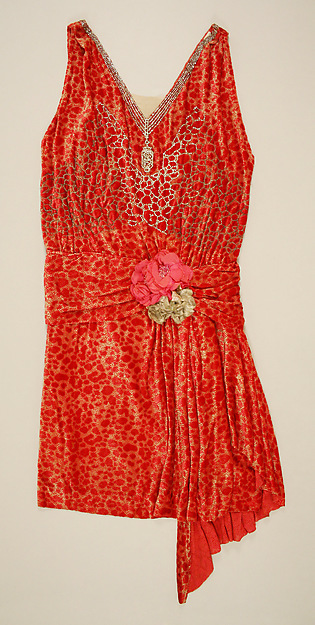 I even found a couple of dresses for the lovely and rather long suffering Dot. 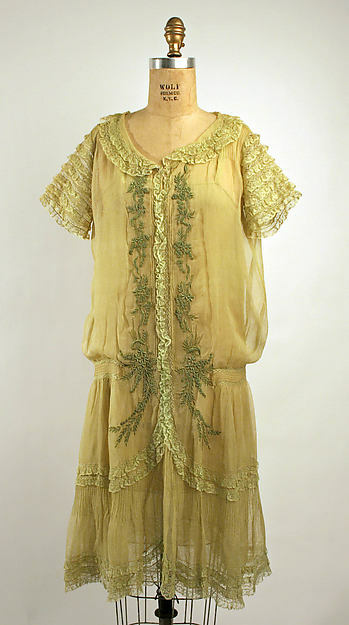 Dress, French, 1926. Photo: Metropolitan Museum of Art Costume Institute, New York. Can you imagine a wardrobe stuffed with all of these? It would be HEAVEN wouldn’t it? Crikey. Looking through these it’s clear to me that Phryne Fisher would be a massive fan of the House of Patou, who seemed to specialise in the sort of vampish, sensual frocks that I reckon would be right up her street. In the books, we’re told that Phryne has a passion for moss green so I made sure to include plenty of beautiful green dresses in this collection. It’s interesting to see hem lines gradually rising then lowering again across the course of the twenties though – women were back in long frocks again (for evening wear anyway) by the mid thirties but I’m sure they thoroughly enjoyed flashing their legs in the twenties!